Take your Coaching Super Powers to the next level by learning the 16 Coaching Power Patterns developed by Thomas Leonard! Thomas often referred to this program as the culmination of his life’s work… pretty profound! From: The worker you were trained to be; living another day of tasks. To: The player you were BORN to be; creating a game of “ask”. We call it the transformation from TASK to ASK. It is liberating and fun! To: Coaching is co-creating life-changing conversations with players. Life changing conversations. This is what great coaching is all about! But how can you co-create them on a consistent basis? The answer… Power Patterns! A Power Pattern is a phrase that bring an experience to life. Learning and using these power patterns will bring a powerful aliveness to every coaching conversation. Your players will LOVE these conversations! Even better, you can learn to use them “in the moment” to alter the course of a coaching session that is going flat or off track. When the late Thomas Leonard taught the first Coaching Proficiencies Intensive it sent shock waves through the entire coaching industry. Never before – and never since – has the craft of coaching been so completely and inspiringly described. New coaches were immediately lifted to a level of quality beyond what their experience would dictate. And senior coaches – and LOTS of them participated in this – were shocked and delighted that there was a higher level of coaching in sight; and A LOT more to learn. It was a breath of fresh air; It still is. Find out what all of the fuss was about! Participate in this program. Practicing each proficiency with your coaching sessions is really fun and rapidly expands your range of options for how to approach situations. When your coaching comes to life you are energized and your efforts become more sustainable. All of the proficiencies are fantastic! They touch my heart so much! I got a feeling of getting a bit closer to the true meaning of life. This is something I been looking for…And Gloria explaining the proficiencies is great! I am learning more and more from life, such as to look at the bigger picture. Don’t ask WHY; try to look for the greater truth of the situation. It feels like I am really aligned with these proficiencies. I have a client who is out of work and has been facing a lot of adversity. When we met this past week, I focused on “Respecting the Client’s Humanity” and it clearly deepened our relationship and freed him to talk about and “go through the forest” of frustration he has been experiencing. On the other side of it, he moved towards actions he wanted to take without any prompting from me. The most intriguing part of the class was when we talked about the proficiency “designs supportive environments” and the concept that the environment will always win. Everything can be seen as environment, it is truly important for me to design inner and outer environments to get flow and reach my goal with minimal effort. By thinking and acting in those terms everything will be much easier and fun in my life. I really look forward joining the teleclass Environmental Design. As part of the Proficiency Coaching class you will “listen in” on 6 provocative coaching conversations between Coach Dave and Player Maile of Maile Stones. Coach Dave recorded 12 sessions with Maile. The first 6 are included in the Basic Coaching Super Powers class. If you didn’t take that class, don’t worry! You will get access to the first 6 sessions so that you can get up to speed on her amazing transformation! 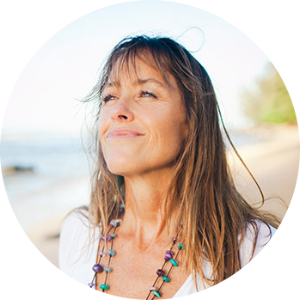 Maile is an inspiring entrepreneur who has set out to become a highly profitable, fun having, “Coach Approach” business owner. As you listen in on these sessions you will learn how to use the Coaching Power Patterns AND you will be inspired to bring the Coach Approach to your big game in life. As you learn, study and practice each of these 16 qualities of masterful coaching you will notice the depth and effectiveness of your coaching expand. Your players will get better results and will conclude each session with a powerful yet subtle experience of being well-coached. A pattern language is a phrase that brings an experience to life. To coach using the proficiencies you must understand the experiences that they represent. When you learn to recognize how they feel when you observe them you can more easily use them at just the right time and place in each coaching session. When you use the patterns properly, your coaching conversations will be full of life! The Play book for this course – created by the late Thomas Leonard – is a masterpiece in writing and visual display. Each page is packed with coaching concepts that expand your capabilities and give you fresh ideas. You will find yourself reading and thinking about your players while getting lots of great ideas for your next sessions.